Funny for the odd couple of Patsy Kelly & Guinn 'Big Boy' Williams, and a rare feature film where Charley Chase had a prominent part. 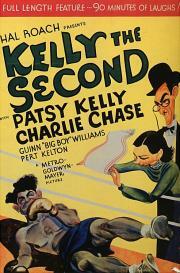 Hal Roach mayhem, which this time worked nicely. Takes a lot from those silent comedies he used to make and it blended in well in this nonsense environment.